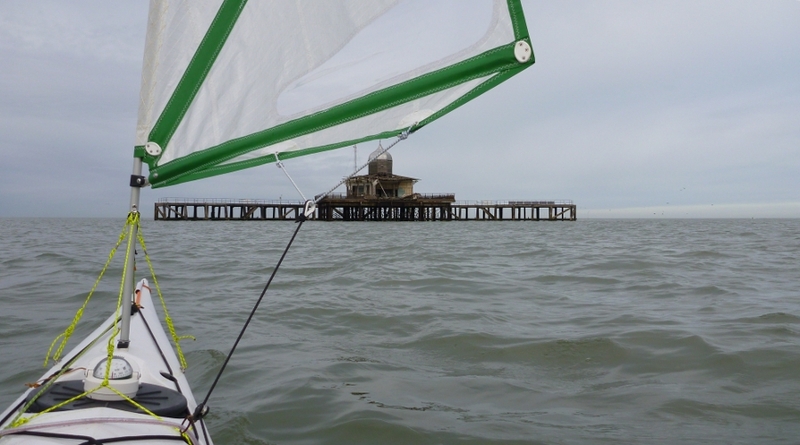 I am once again in England and with a small errand to complete at Canterbury, I took the opportunity to paddle out from Herne Bay to Redsands. 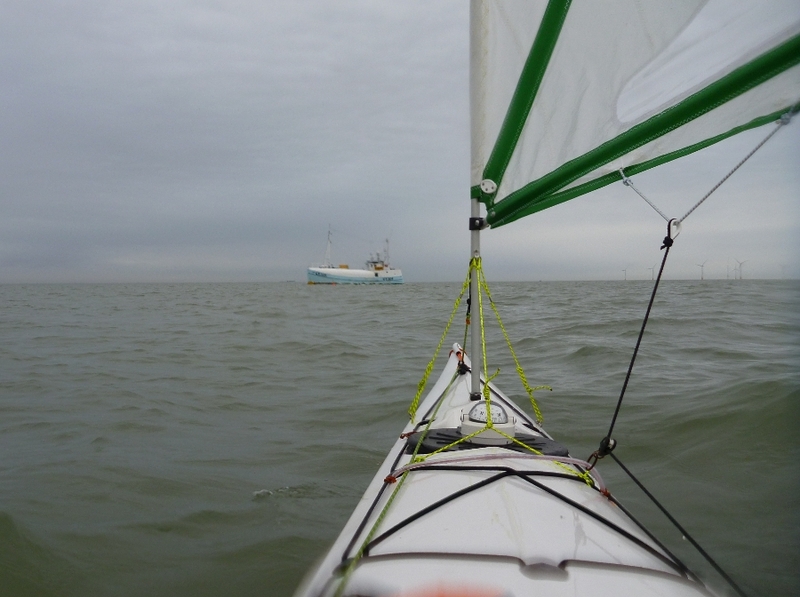 I have completed this paddle a few times, but the new interest for me was to make the trip using the sail. Winds were forecast at Bf3 6am increasing to Bf4 for the rest of the day. 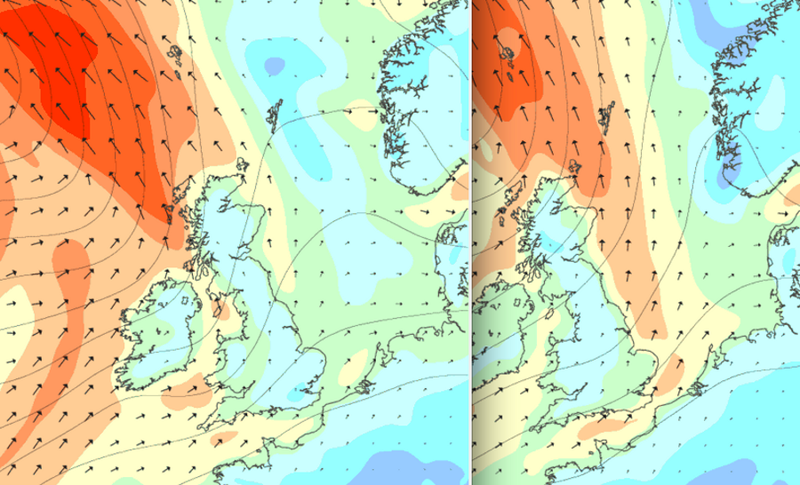 Having been watching the trend over the previous days the weather did show improvement. On the Esplanade opposite the Old Pier there was hardly a breath of wind, I even wondered if it was worth rigging the sail. By the time I reached the Towers the wind had now reached the top end of Bf4 and when I turned to make the return trip I found the wind had backed just enough to prevent me sailing back. 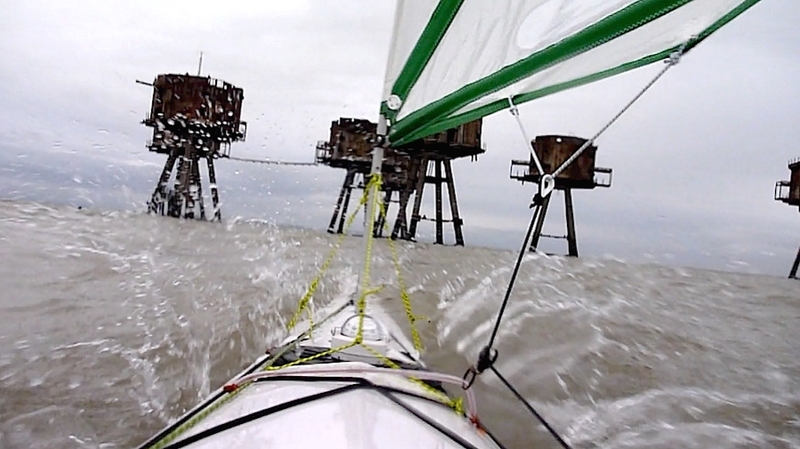 I did try tacking but found this was quite laborious and that it was far more efficient to just paddle into the wind. I Stowed the sail away on the deck and set off. 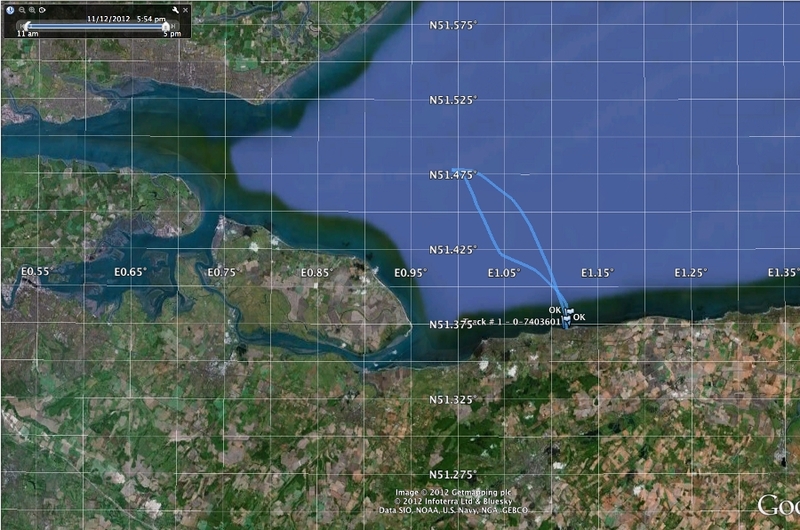 Looking at my GPS trace you can see a nice gentle curve on the trip, paddle sailing out. On the paddle back the sudden increase to Bf5 is quite apparent looking at the trace. I found this a useful exercise in understanding the use of the sail, I had rather hoped to make the return trip under sail too, but then it’s always good to have a bit of flexibility in the plan. 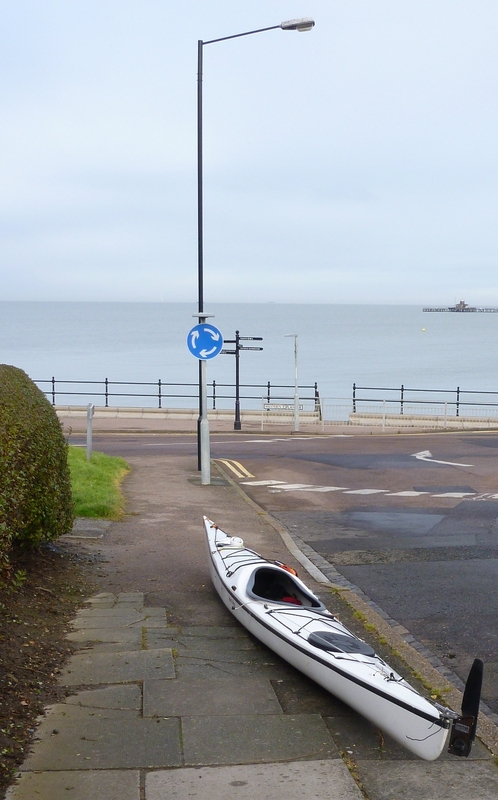 It was a good paddle….. and on my birthday too.